It's Taco Tuesday - National Unicorn day. 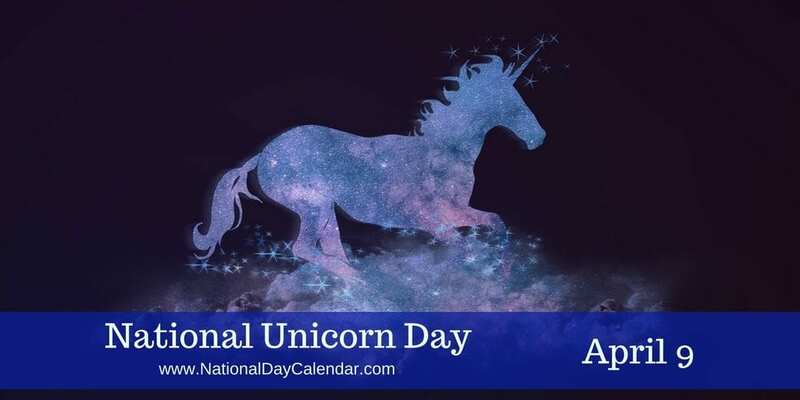 National Unicorn Day is observed each year on April 9th. Celebrating the magical unicorn. Mythical for many living in a mystical land of imagination. Many cultures independently created art and folklaw about these fantastic beasts, so perhaps the myth of unicorns is grounded in something? Read or watch The Last Unicorn. Read another book that is about or features unicorns. Make some food using The Unicorn Cookbook. Pick up some unicorn-themed clothes. Buy a unicorn questing license. Lake Superior State University in Sault Ste. Marie, Michigan, has issued permits for "unicorn questing" since 1971.